The Inside Scoop On An Urban Warrior. 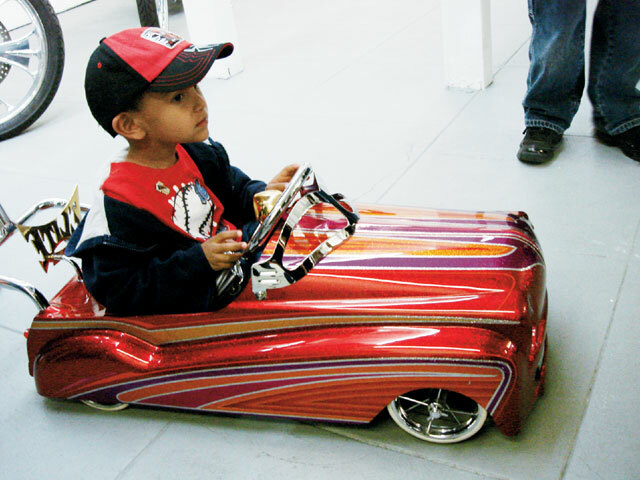 Hollywood, CaliforniaWe caught up with celebrated lowrider artist “Mr. Cartoon” at the Lost Angel release party that recently took place at the Meltdown Gallery in Hollywood, California. 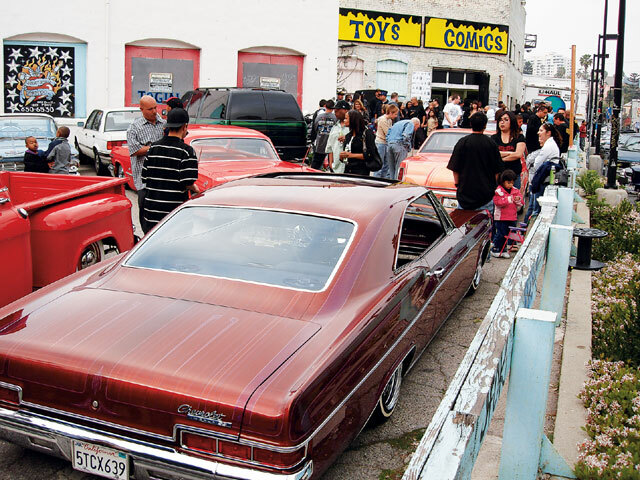 The celebration featured a line that wrapped around the block and a lot of great works, including photography by Estevan Oriol of Customized Low Riders, paintings by Mr. Cartoon himself, and the Lost Angel toy. Mr. Cartoon was on hand for signatures as many stopped by to check out great art, great culture and also tacos from a souped-up taco truck. 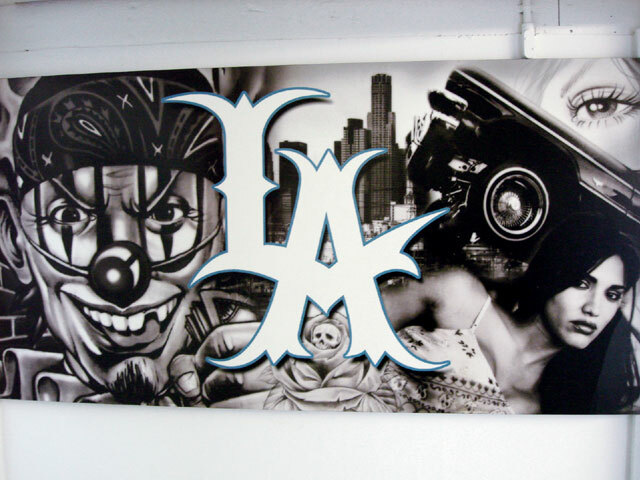 There were lots of stand-out pieces as well, which included a customized lowrider, airbrushed bikes, his “boxing” painting, the “Lost Angel” painting on wood, and many more. 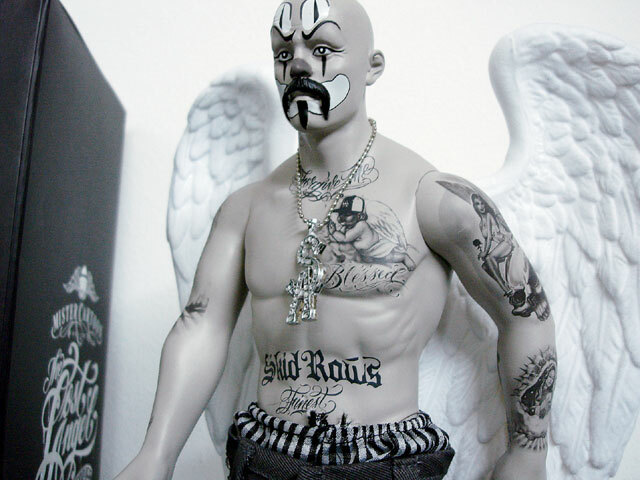 Beyond the realistic black and gray signature tattoo work, the 15-inch Lost Angel figure sports an L.A. Hands T-shirt designed by Estevan Oriol, a pair of Nike shoes (“The Cortez” and “Air Force One”) designed by Mr. Cartoon, and a T-Mobile Sidekick, also designed by the artist. Mr. Cartoon’s new graphic novel, The Lost Angel, is schedule for release in July. With a limited print run of only 1,313 copies, it’s sure to sell out. You’re able to pre-order the collectible online for $130 from Meltdown. The pre-release party also included a peak at some of the panels from the book. The car show atmosphere featured several of Mr. Cartoon’s personal rides. 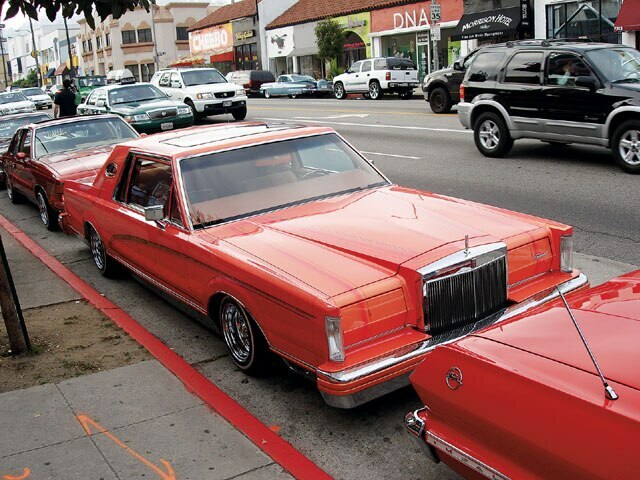 A few lowriders from Lifestyle Car Club also came out to support the event. 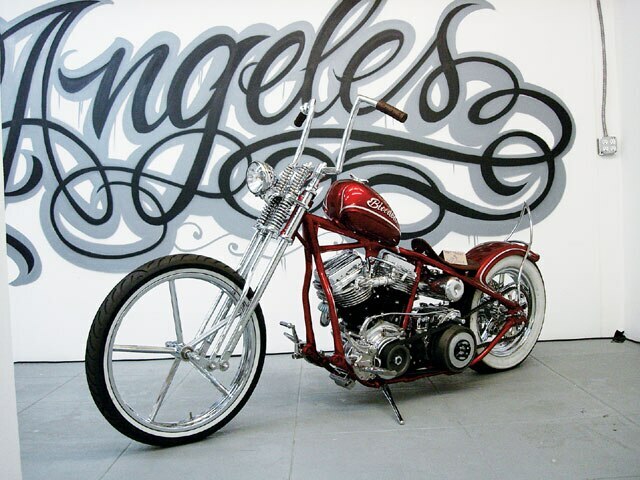 Superco Kustoms had a few bikes on display, including “El Peligroso,” the winner of Discovery Channel’s Biker Build-off. The Lost Angel release party was definitely a good one not to have missed as this was one of the more unique toy/graphic novel releases to have ever dropped.